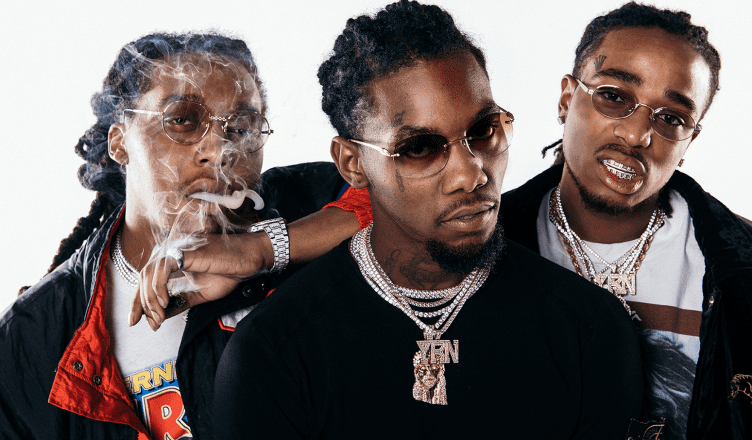 Ever since Migos, the Atlanta hip-hop collective, hit the top of the music world with their track “Bad and Boujee,” fans have debated which member is really the best “Migo.” Now, we decide. About five years ago, the lives of three young Atlanta rappers changed forever. Following the local success of their track “Bandos,” the rap collective Migos — composed of Quavo, Offset, and Takeoff — put their name on the radar alongside some of Atlanta’s most influential members in the rap community, Gucci Mane and Zaytoven. When 2016 came around, Migos became one of the biggest names not only in the rap community but also throughout the music world. Their single “Bad and Boujee” went viral, and there was no looking back for these three artists from the North Side. Since that breakthrough, there have been countless conversations about which member carries the most weight in the group, and opinions vary depending on the set of standards used. With the recent release of Offset’s album “FATHER OF 4,” each member has solo work to evaluate. With the release of these solo albums, it becomes much easier to dissect and consider which member is truly the best Migo. With rankings based on versatility, flow, ad-libs, and ability to make hits, here is a highly subjective outcome. 1) Offset — Coming in as the best Migo (fresh off his recent marriage to hip-hop star Cardi B and success with his album “FATHER OF 4”) is none other than Offset. Offset’s flow is unparalleled within the group, each of his verses powerful and the syllables always hitting perfectly. Offset is also able to differentiate his flow better than his counterparts; with a rapid-fire delivery to a more bouncy and smooth one, he can truly do it all. On his recently released “Wild Wild West,” Offset transitions impressively between three different flows in just a few bars. On his joint album with 21 Savage and Metro Boomin, Offset made it clear that he was more than capable of making hits without Quavo leading the hooks. Songs such as “Ghostface Killers” and “Ric Flair Drip” display that Offset is just fine on his own. However, his most lacking quality, as listed above, is rarely contributing more than a single verse on a track. On the other hand, his recent solo project seems to show that he is very capable of doing it all. On the intro track of “FATHER OF 4,” he delivers a chorus and verses more based on melody than strong cadence. With this track alone, the fast-flowing Offset displays potential for much more as a solo artist. Also, on one of the best songs of this generation, “Slide” by Calvin Harris featuring Migos, Offset has a standout verse with impressive alliteration and a delivery that is not to be contested by anyone in the industry. As icing on the cake, Offset also has the best ad-libs in the group — some would argue his notorious “whoo whoo whoo’s” on “Bad and Boujee” may just be the reason the song went so viral. 3) Takeoff — Coming in at the last slot is none other than Takeoff, the least recognized member with the most distinguishable voice in the group. Takeoff dropped his solo project “The Last Rocket” at the tail end of 2018, and it showcased massive potential for the Migos’ third member to deliver much more than complimentary verses. Limited features on the project let Takeoff shine, as he was forced to craft melodies and fill an entire track on his own. Tracks such as “Casper” and “Lead the Wave” stood out with strong choruses and verses that were just as exciting. Takeoff can masterfully rhyme words in succession and has the crispest delivery out of the three members. However, his inability to show his potential to make a hit independent of the other members in the group reveals that he is the most dependent on the others for success. Even though he comes in last, Takeoff has some of the best verses in the Migos’ history, including a truly mind-blowing verse on a studio freestyle over Drake’s infamous “Pound Cake” instrumental. Also, it is impossible to not pay tribute to his verse on “T-Shirt” and to recognize that his ad-libs are truly just different. At the end of the day, the Migos need one another, and the music they create has encapsulated a generation of hip-hop heads. The U.S. needs the collective unit of Migos just as much as it needs apple pie. The day the group breaks up, may God forbid, is the day Rome begins to fall. From every Offset “wooh” to each Quavo hook, Migos have crafted modern music into an entirely new mold, and it is delightful to watch each member individually thrive in the limelight. Anyone that does not put Takeoff as the best Migo is kidding themselves!